Heavy duty electric winch is a very simple lifting device incorporating a drum on which a cable or rope is winding. It delivers two directions of load motion, horizontal and vertical movements. The heavy duty power winches offered by our company come in a variety of forms and sizes to your individual requirements. 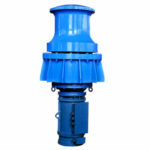 They are designed to increase efficiency, durability and reliability of heavy-duty applications. As an experienced winch manufacturer, we sell a range of winch products, light duty, heavy duty, electric and hydraulic winch to be used in multiple applications. Used for installation and dismantling of large concrete, steel structures and heavy equipment. Suitable for building, road and bridge construction. Used in mining areas to lift various minerals. Used on the boats for anchoring, mooring and towing. We offer the best heavy duty winch for the intention of increased performance, service life and safety. According to the heavy duty applications, our winches can be classified into industrial winch, construction winch, mine winch and marine winch. 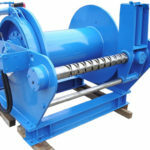 Each type of winch machine can be built into any capacity and size to your requirements. 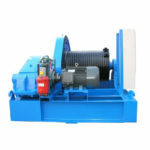 JM slow speed electric winch is a popular form of heavy duty winch used in construction and various industrial fields. It can carry a substantial amount of weight, usually going up to 300 tons. 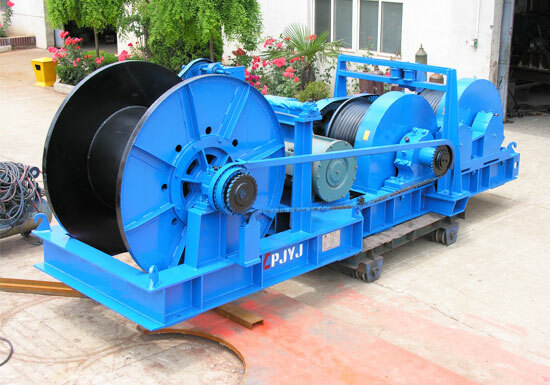 This type of winch is meant for accurate positioning, suitable for short distance lifting. The heavy duty slow speed winch supplied by our company is featured by superior quality, reasonable cost, high reliability and durability. 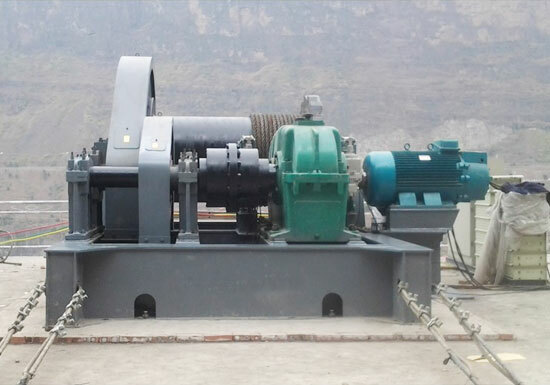 In a long distance lifting application, high speed electric winch is a better option for its increased productivity and reduced power consumption. 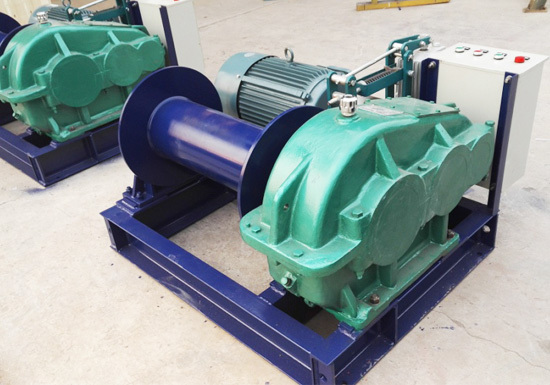 The heavy duty electric winches designed for marine duty applications need to adopt insulation design so as to withstand the harsh marine environments, such as marine duty motors and gearboxes, excellent corrosion painting. 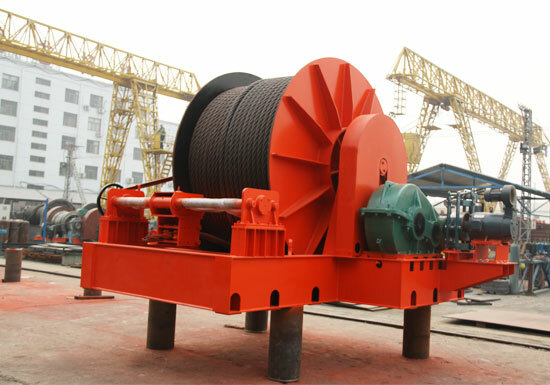 In the selection process of a quality heavy winch, there are several things you need to consider, including the rated load capacity, rope capacity, working speed, power supply and environmental conditions. These considerations are extremely helpful for you to make the right purchase. 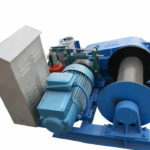 Besides, our experts are very pleased to help you select the most suitable and durable winch to fit your needs. 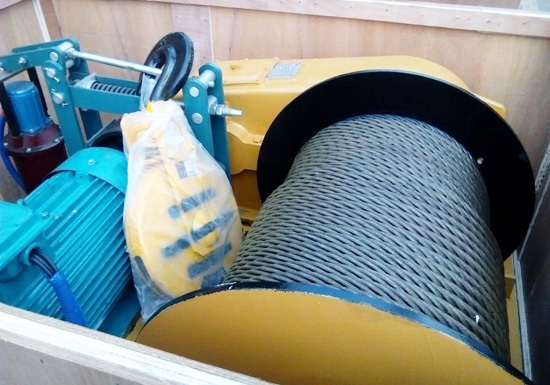 Winch is a relatively simple lifting and pulling equipment that is mainly composed of an electric motor, transmission system, and rope drum. 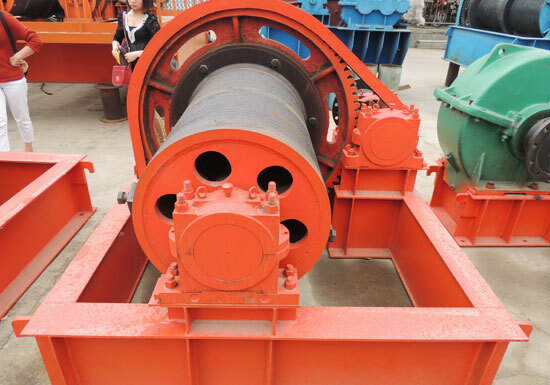 It is widely used due to its simple operation, large rope capacity and convenient displacement. Cable or rope is a vital unit wound on the winch drum. The motor drives the drum to retract or release the rope to perform the lifting or pulling functions. Different pulleys are used to change direction of motion. 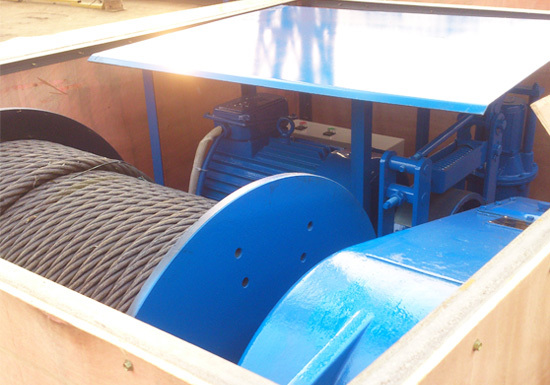 The electric winches mainly carry out vertical lifting, horizontal or inclined pulling of heavy loads. The general construction sites usually employ a single drum winch for its simple structure, easy operation and convenient movement. When it comes to working speed, the slow speed winch is commonly utilized in various lifting occasions for more accurate positioning. 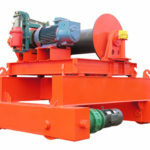 The electric winch can be used independently or as a component of other lifting machines. It can be controlled by a push button box that is connected to the winch or by a remote control, a popular addition to push button box. The remote control allows the winch operator to choose a proper position for a better view of the load motion as well as to achieve a secure operation. The rope on the winch drum should be arranged neatly and make sure it is not knotted or twisted. The rope must not be discharged completely during operation. No one shall cross the wire rope during operation. The load should be lowered to the ground during breaks. In the event of sudden power failure during operation, cut off the power and lower load to the ground. 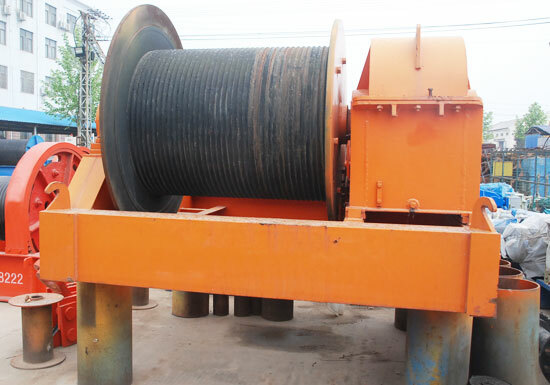 Inspect and maintain wire rope periodically. Do not hoist high temperature objects directly. Make sure the foundation is strong. The installation of an electric winch should be kept away from dangerous working areas. It should be piling to prevent the winch from moving or overturning. Set up an operating shed and ensure the operator has a clear vision of load motion. The direction of rope drum. The drum should be aligned with the center of the guide pulley. Another thing you need to focus is the distance from the drum to the first guide pulley. Generally speaking, for grooved drum, the distance should be 15 times greater than the width of the drum; for the grooveless drum, it should be 20 times greater. 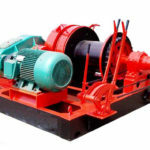 Which Heavy Duty Winch Manufacturer Should You Work With? 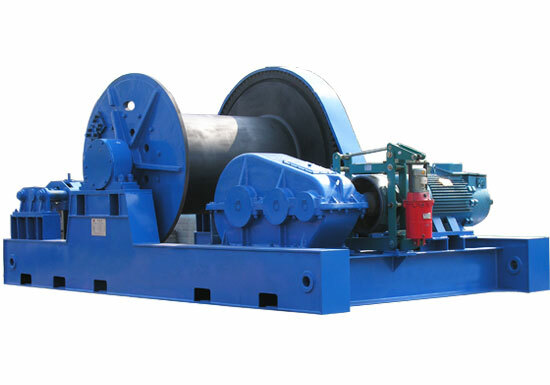 It might be a troublesome process to locate a reliable winch provider since there are so many heavy duty winches suppliers available in the market. 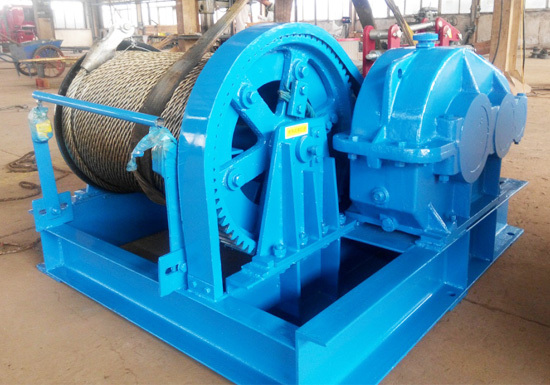 When looking for winch suppliers, you are suggested to look into their company strength, winch experience, qualification, track records and so on in order to make the smartest decision. 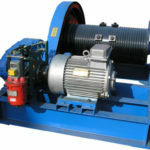 You can certainly benefit a lot from a well-experienced and reputable winch manufacturer. 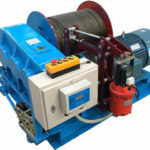 We sell, design, manufacture and service an array of winches to help your business achieve maximum benefits. Our winch products have been exported to over 60 countries and regions. As a trusted winch manufacturer, we are committed to a rigorous quality control for all our products. With our excellent technical team and precision production process, we are able to provide you with a quality winch that meets your specific lifting requirements. Looking for dependable and durable heavy duty electric winch? Place your order at Aimix company!